This is a follow up to my blog post of 4/3/2011 when I was asked by the Plano Symphony Orchestra to catalog and research the value of an LP record collection that was donated to the symphony. The job of cataloging and researching the music is now over and I’m sure it will not be a surprise to most of you to find out that the collection is basically worthless. The main problem with the collection is that most of it consists of 78rpm’s not LP 33 1/3 rpm. So after much time and research I recommended to the Executive Director that we sell the collection to Half Price Books and Records. I had made a call to them to make sure that they would also buy the 78rpm’s. Those records are made of acetate and are extremely heavy! They make a box of LP’s feel light by comparison. Half Price Books confirmed that they buy 78’s. The Executive Director reviewed my catalog of the collection and authorized the sale of the collection. So, last Friday I loaded up the boxes and took them to Half Price Book to sell them. When I got there a nice young man helped me bring them in. I shopped around while they put together my offer. “John, your offer is ready” comes over the intercom. The employee says “take them somewhere else” basically. I asked, why?!?!? He says, “Well, classical music has a really long shelf life and we can’t sell it for very much money. And no one has 78 players anymore.” I told them that I had called before coming and was told that they would buy the discs. I also pointed out that a number of their classical LP’s were being sold for $5.98 apiece and that that was about what they sold for when they were new. I also reminded them that this was for the Plano Symphony. “Well,” he says, “Let me talk to the manager and I’ll get back to you.” I go shop some more. Again the ominous sound of my name being called rings out through the intercom system of the store: “John, your offer is ready”. The employee at the counter says “My manager will offer you $3.00 for the 78’s and $20.00 for the LP’s. Are you sure you can’t take them somewhere else?” I said “Nope, sold for $23.00!” What a shame no one really values these relics of the past anymore. Vinyl is being cast aside like yesterday’s garbage. Now I will try to help the Symphony sell their antique piano. This piano was restored by someone who didn’t quite know what they were doing. The original ivory keys were replace with plastic. The original leather hammers were replaced with modern felt hammers. They refinished the cabinet which destroyed the original patina on the piano. Also, the keyboard is mounted in such a way that repeated notes are difficult or impossible to execute, and when you depress the keys you hit bottom a little to soon, so the piano is hard to play loud or fast. There are other issues as well, however; it would not be hard or expensive to fix things. If you know anyone who would be interested please have them contact me. I am going to advertise the piano on ebay and craigs list next week. For those that are interested in the LP collection from the Plano Symphony here is the complete list. *LP is sealed in plastic and has never been opened. I taught myself how to play the piano and read music when I was 9 years old. I've been been consumed by music ever since. I majored in Piano performance in College and I still play, although not as well as when I had time to practice 4 -6 hours per day. This blog is about music. Music is the sound track of our lives. All it take is one song, one composition; and we are transported across time and space. I think it was Beethoven that said: "Music is the landscape of the soul." This entry was posted in Life Events and tagged Half Price Books and Records, Plano Symphony Orchestra, Schneider Grand Piano. Bookmark the permalink. 11 Responses to LP Record Collection Worthless…Almost. If all else fails on the piano – ask Neko Case if she wants it – or put it in your yard so a tree will grow through it. Thanks for the suggestion. Neko rescues Piano’s and I rescue vinyl. Pam might really like it in the yard as a planter. Also, a good idea. I wonder if I can get the symphony to give it to us? Do you still have BACH BOROVSKY 78rpm English Suite. Can I purchase any of Borovsky you might still have? 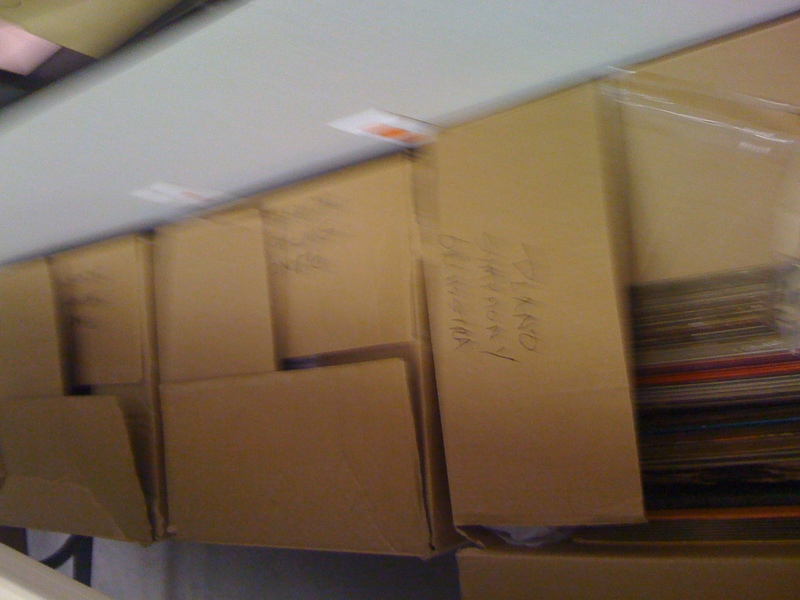 Sorry, but I sold all of the 78’s to Half Price Books and Records in Plano Texas (Parker Road Location). They might still have the Borovsky and I’m sure the price would be dirt cheap. Do you still have the Bach 3 Part Inventions/Balogh record? I’m sorry but the Balogh recordings have been sold. Thank you so much for your interest. I am always running across 78’s and LP’s so I will keep my eyes open and let you know if I find another one. Columbia, denussy, quartet in G minor op10, Budapest String Quartet, masterworks Set M-467,J. Roismamnn and A. Schneider, violins; B.Kroyt, viola; M. Schneider, ‘cello. In ‘the boston evening transcript’ of March 11,1902: “it is not difficult to appreciate the enthusiasm of the few for Debussy…etc etc. If you have the time to read, i would welcome some advice on how to reserch further. It amazes me records a century aren’t worth anything. It sounds like you bought some old 78rpm records. IF they are 78’s and not LP’s (Long Playing 33 1/3rpm’s) they are pretty much worthless as far as money is concerned. The exception is if you have any Carouso or other old opera stars singing arias, or songs. Old 78’s of classical music had to split movements up in order to fit them on the albums. That is why the opera aria’s are still collectable. The song or aria will fit on one side of a 78. All of this being said, the albums are not really worthless to a music lover. You have purchased some wonderful music and performances by first rate musicians. If you have a record player that will play at 78rpm’s then you can enjoy these wonderful performances. Thank you for reading my blog and feel free to contact me any time you have comments or questions. I’m Very sorry, but I no longer have the Bach Chaconee. I sold it to half-price books in Plano, Tx. Located on Parker Road. I see that you try to sell piano J. Schneider. I also have J. Schneider piano. It is in my family about 30 years. But it is not good for playing. 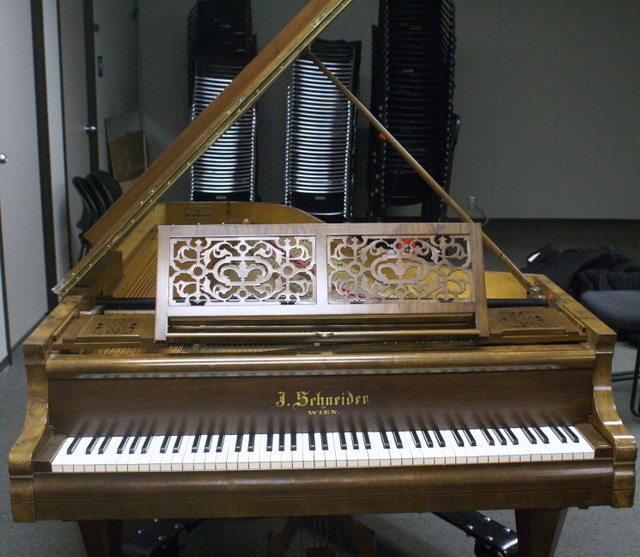 I found that it was made in Vienna, and J. Schneider had been making pianos from 1841 to 1851. I would like to sell it to museum. Do you know serial number of the piano that you try to sell? Do you know year of production? I would like to compare your serial no. and year to my serial no., in order to find the range of years of production of my piano.